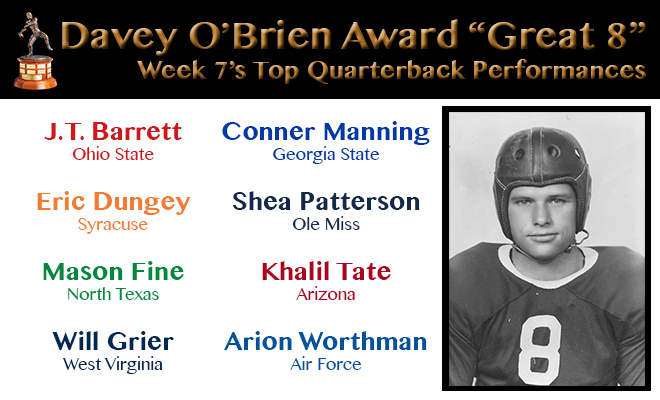 FORT WORTH, Texas (Oct. 16, 2017) – The Davey O’Brien National Quarterback Award’s “Great 8” performers selected for week seven of the college football season represent eight different conferences, according to the foundation’s announcement. 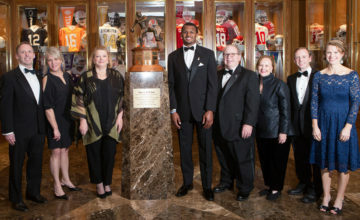 The eight honorees, as determined by voting from the award’s selection subcommittee, are: J.T. 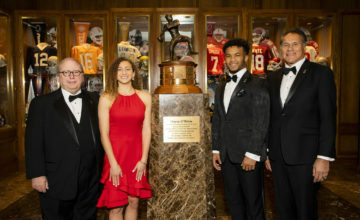 Barrett of Ohio State, Syracuse’s Eric Dungey, Mason Fine of North Texas, West Virginia’s Will Grier, Conner Manning of Georgia State, Ole Miss’ Shea Patterson, Khalil Tate of Arizona and Air Force’s Arion Worthman. 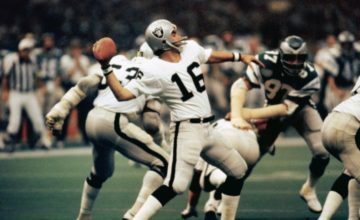 Forty-four different quarterbacks have now earned the 56 total honors through the season’s first seven weeks. Barrett, Grier, Patterson and Tate each were recognized for the second time in 2017. Tied his school record with seven touchdowns (five passing, two rushing) and had just six incompletions (27 of 33, 325 yards) in a 56-14 win over Nebraska. Eric Dungey, Syracuse, Jr., 6-4, 222, Lake Oswego, Ore. Completed 20-of-32 passes for 278 yards and three touchdowns, and also contributed 61 rushing yards in Syracuse’s 27-24 upset of No. 2 Clemson. Mason Fine, North Texas, So., 5-11, 180, Locust Grove, Okla. Totaled four touchdowns (three passing, one rushing), including the game-winning throw (20-for-34, 354 yards) with 10 seconds left, to defeat UTSA, 29-26. Will Grier, West Virginia, Jr., 6-2, 214, Davidson, N.C. Led West Virginia to a 46-35 comeback win over No. 24 Texas Tech by going 32-of-41 for 352 yards and five touchdowns, including four second-half scores. Conner Manning, Georgia State, Sr., 6-1, 205, Lake Forest, Calif.
Tossed a career-high four touchdown passes (26-of-35 overall) and threw for 446 of Georgia State’s school-record 670 yards in a 47-37 triumph over ULM. Shea Patterson, Ole Miss, So., 6-2, 203, Shreveport, La. Connected on 22-of-35 attempts for 351 yards and four scores and also tacked on a rushing touchdown as Ole Miss defeated Vanderbilt, 57-35. Carried the ball 15 times for 230 yards (15.3 per carry) and two touchdowns and added a TD pass (9-for-13, 148 yards) in a 47-30 triumph over UCLA. Arion Worthman, Air Force, Jr., 5-11, 205, Normal, Ill. Ran for 166 yards and five touchdowns, four in the second half, to lead Air Force back from a 27-0 deficit to a 34-30 victory over UNLV.